Some of the construction mmaterials that Builder’s Yard deals in. Courtesy photo. Builder’s Yard one of Uganda’s leading pioneer companies dealing in building materials, has introduced a new construction style known as Light Gauge Steel Frames (LGS). Also known as SmartFrames, the new style involves pre-fabricating parts of the house before bringing them to the site for assembling in a period that does not exceed two weeks. As part of efforts aimed at familiarising architects with the style, the company is sponsoring the 2017 Independence Student Design competition, an annual competition organised by the Uganda Society of Architects for students of architecture in the four universities of Makerere, Kyambogo, Uganda Martyrs University Nkozi and International University of East Africa. Builder’s Yard offers a wide range of construction materials and can even source for its customers when the materials required are not readily available. Builder’s Yard will provide the materials for constructing the house for the winning design using the SmartFrames. On Tuesday, students were taken through this model of construction as they prepare to participate in the competitions. 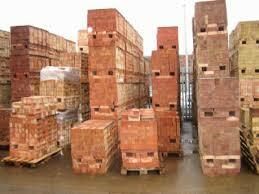 Builders’ Yard supplies a wide range of building materials including bricks, blocks, decorative stone and aggregates. Direct to site orders can be arranged for products such as ready mix concrete. The company also offers advise on construction.